But the Cowboys have never been just about football. With their oil baron roots, overbearing, ego-driven owner, players who can’t stay out of the tabloids, a palatial new home that sets the standard for modern stadiums, fans as enthusiastic as cheerleaders, and cheerleaders who are as famous as the team itself, the Cowboys have become a staple of Americana. Joe Nick Patoski plumbs all these stories in a book that is a rich, sometimes scandalous, and always vivid portrait of a time, a place, and an irreplaceable team. 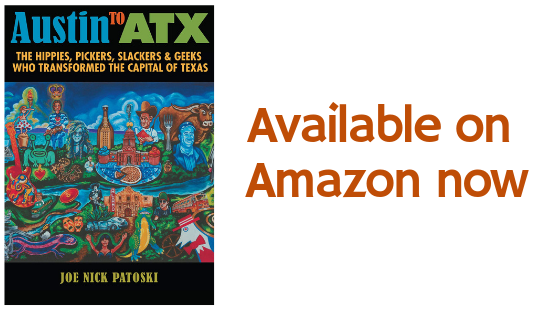 Joe Nick Patoski is the author of the award-winning Willie Nelson: An Epic Life as well as biographies of Stevie Ray Vaughan and Selena. 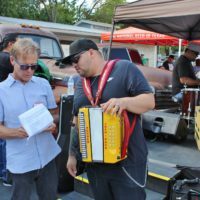 He has written for No Depression, Texas Monthly, Rolling Stone, Country Music, TV Guide, and the Austin American-Statesman. He lives in the Texas Hill Country. To keep the land in the family . . . To operate the land profitably . . . To leave the land better than they found it . . .
Each year, Sand County Foundation’s prestigious Leopold Conservation Award recognizes families for leadership in voluntary conservation and ethical land management. In Generations on the Land: A Conservation Legacy, veteran author and journalist Joe Nick Patoski visits eight of the award-winning families, presenting warm, heartfelt conversations about the families, their beloved land, and a vision for a healthier world. Generations on the Land celebrates these families’ roles as conservation leaders for the nation—far beyond the agricultural communities where they live—and reinforces the value of trans-generational family commitment to good land stewardship. The eight landowners profiled by Patoski include six ranchers, a forester, and a vintner. They reside across the country: in California, Nebraska, Texas, Utah, Wisconsin, and Wyoming. Their conservation accomplishments range from providing a habitat corridor for pronghorn antelope to hammering out an endangered species “safe harbor” agreement for grape growers. A short introduction by a fellow conservation or ranching professional precedes each of the personal portraits by Patoski, which are written in an informal, conversational style. Brent Haglund, president of the Sand County Foundation, provides an introduction to the purpose and work of the foundation, and a conclusion summarizes the substantive conservation contributions of the Leopold Conservation Award recipients. The “Generations on the Land” symposium, which was comprised of over 140 participants, brought together 11 of Sand County Foundation’s Leopold Conservation Award winning families, from all over the country, to share their stories and philosophies of land management and conservation with other landowners and students. The recently published Generations on the Land celebrates the conservation leadership of eight recipients of the Leopold Conservation Award. The book captures the sacrifices and rewards these outstanding agricultural families experience as they work to keep their operations economically and environmentally sustainable. Click here to purchase. to my lips and the inside of my mouth, I immediately wanted more. Willie Nelson: An Epic Life from Amazon here. Eagle, Chinati, Beach, and Christmas. — and a savory assortment of crispy, crunchy Tex-Mex foods. for the 70-day journey to collect personal civil rights stories. the Cristina Show, Univision; excerpted for VH1’s “Behind The Music”. an e mail from a Selena fan and my response. and the genuineness and passion of his music moved millions. Thanks for stopping by, y'all. Say howdy sometime - shoot me an email. 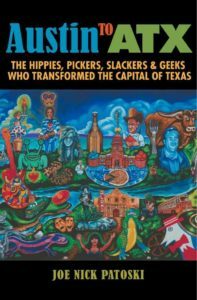 Click here to download an audio excerpt of Austin to ATX about "The Story of SXSW."